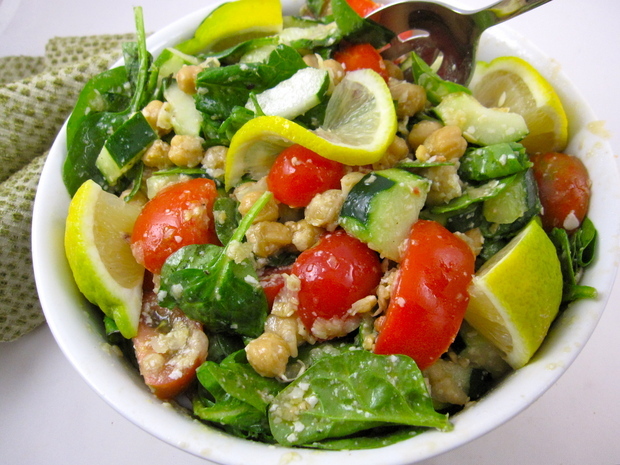 Tip: You may toss in fresh baby spinach leaves into the salad & add some lime slices for extra flavor & appeal. Also, one can add fresh diced Tofu/paneer pieces. You may substitute carrots with tomato pieces or use both..its ur choice. Mix together the dressing ingredients and toss with the beans/veggie mixture, tasting and adjusting the flavors to taste. Chill well and serve. *Note: Granulated garlic is sold in the spice section and comes in small tiny crunchy pieces; this is not the same product as garlic powder. If you can't find any, you can toast some fresh minced garlic in a pan with a tiny bit of olive oil until it just begins to crisp, then quickly remove to paper towels to drain and cool. White balsamic vinegar has a subtle, lightly sweet clean taste and is usually sold right next to regular Balsamic vinegar. Enjoyed by both young & old. Can be made & kept in fridge for a week, but its so tasty that it does not last long.